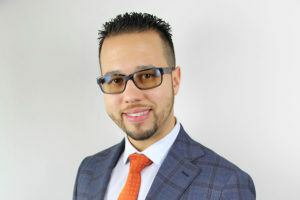 Franco Cabral’s career has built quite the reputation through his consistent achievement and relentless pursuit to provide excellence for his clients, an honor that had his name recognized on Westchester magazine’s list of the “Most Impressive Under-30 Business Professionals”. From a young age, Franco developed a passion for sales and working with small to medium sized business owners. His father an entrepreneur for over 25 years, and mother a CEO of an Urgent Care Center, were both immigrants from the Dominican Republic who instilled a sense of community and hard work that resonates in everything he does. Franco began working at a supermarket advertising company, Adcorp Media Group, which gave him his first opportunity to learn about the business that would end up being his passion and prowess. In 2009, he was appointed SVP of National Sales and only a year later, Cabral’s top-shelf performance earned him the title of COO. His unique insight into the Latino market allowed Franco to lead the company in developing the new sister company Adcorp Latino, an initiative focused specifically on the Latino market. Franco Cabral has a passion for family, it is what drives his vision for inMark. The connection to the community in which inMark projects into the future of all of its clients, can be immediately felt within the walls of the inMark home, an accomplishment ranking amongst Franco’s most cherished.